Israel Aerospace Industries (IAI) and XpressSAR have signed a Memorandum of Understanding (MOU) for the latter to purchase from IAI a constellation of four TecSAR synthetic aperture radar (SAR) satellites along with associated support services for launch, on orbit testing, commissioning and establishing ground operations to control the constellation. XpressSAR, an American owned and operated company, will purchase and operate the satellites in inclined orbit. IAI is responsible for the manufacturing of the satellites and other services needed to deliver a turnkey operational constellation in space. 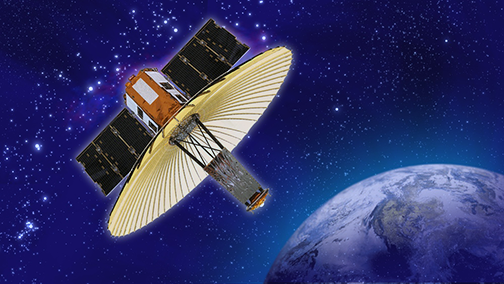 Artistic rendition of the TecSAR satellite. Image is courtesy of IAI. The world of SAR is at the cutting edge of space-based intelligence capabilities. The TecSAR satellite developed and designed by IAI and carries a SAR payload, designed to provide images during day, night and all weather conditions, including under cloud cover. 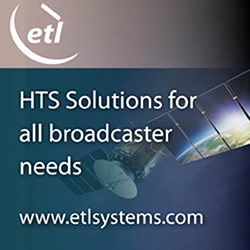 The TecSAR satellites are significantly smaller, lighter, and more agile than other satellites in their category, providing outstanding maneuverability and image resolution quality and quantity. The unique combination of electronic beam steering modes and mechanical agility make it the perfect surveillance system from space, leading the trade by far in the number of high resolution spot images generated in each pass over a dense target scene. Wolfgang Biedermann, CEO of XpressSAR, said that after a long review process of the different solutions available on the market, the company is excited to partner with IAI to offer a perfect surveillance system from space using IAI's excellent and cost-effective SAR satellites. With IAI's advanced satellites capabilities, the firm will provide the most up-to-date radar imaging technology for high quality information. The company's focus is to use cutting-edge but proven technology to offer future customers the highest product quality while still acting as an innovator and market disruptor. Boaz Levi, IAI's EVP and GM of Systems, Missiles & Space Group , added that through this collaboration, XpressSAR will be able to offer state-of-the-art satellite constellation for multi-customer use, with IAI’s technological excellence and operational know-how. For the past three decades, IAI has been developing and operating satellites for various purposes for the defense needs of Israel and customers worldwide. The company is excited to work with XpressSAR in developing and manufacturing the advanced satellite constellation.